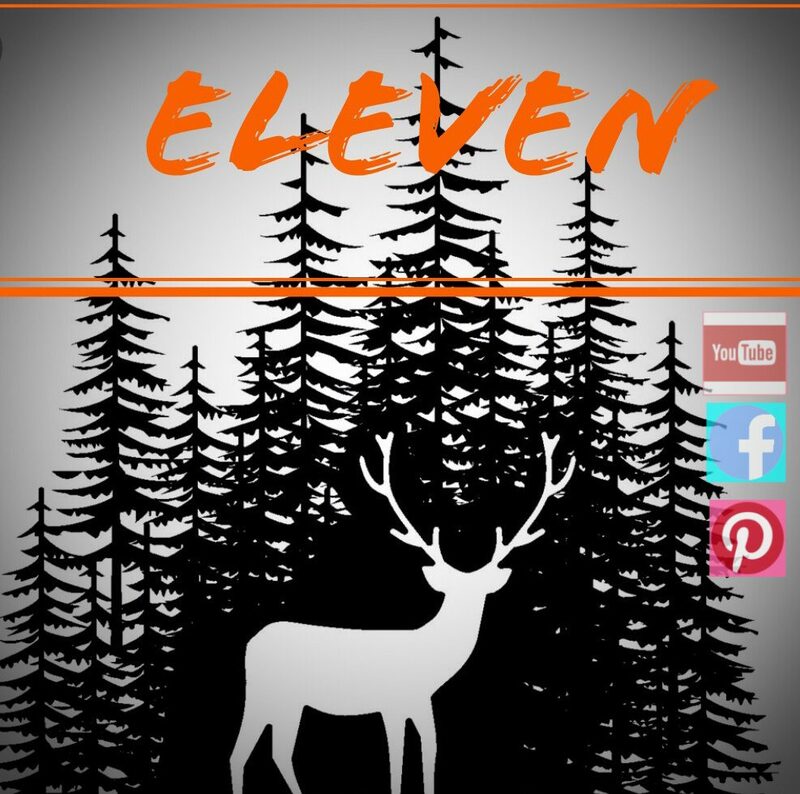 We welcome you back to another story of Eric & Jill (eleven survival wilderness) . We have recently purchased 110 acres. We first purchased 40 acres under what we thought we would never find, a personal mortgage from the previous land owner! We were so ecstatic with the discovery. The previous land owner we will call him “Bob” so he can remain anonymous. Bob is a great man , with many accomplishments and had through “dumb luck” , he acquired over 1000 acres. Over 5 years it took him to gain all this land and now wanting to retire he started to sell off all his parcels. We were lucky enough to grab this 40 acres at a great price. After spending some time on the 40 acres we noticed it was a little different than we noticed before. Beaver….From the time we walked the land (November) to the time we purchased it (July) , 8 months , they swallowed up about 5 acres of land. We were discouraged, didn’t give up but felt the beaver took some land that didn’t belong to them. I mean if we had 110 acres I could deal with 5 acres given to the beaver, but not 40 acres. Also the road to get up into the land was basically a ATV path, no gravel , no drainage , nothing. We approached Bob again and asked if he had any other land for sale , of course he did! He gave us a fair price on another piece that bordered our current land directly. The only thing was we kind of ran out of money since we just spend it all on the 40 acres…. As we waited and every weekend we went to our little spot in the woods we passed the land that we wanted to add to our get-a-way spot. I mean this parcel was it, It had a gravel drive way , a plot already mapped out for building and did I mention it was another 70 acres ! He was pretty stuck on getting what he wanted because it was his friends favorite place to hunt. A few months went by and we got some disturbing news. We met with Bob on this piece of land one day and talked for a couple hours about this and that. We left for lunch we didn’t know it at the time but, bobs friend was still in the woods. His friend was hunting and never came out for lunch, which Bob told us he does almost every time he hunts. Bob was very concerned and went looking for him …. found him. As Bob was a excellent hunter and tracker he knew his friends steps and where he would be or expect him to be. His friend slipped on a rock and hit his head and broke his neck , He was dead. Bob had no reason to keep this land anymore and approached us if we would be interested in it. Of course we were , but we didn’t know how to approach him about it since his friend just passed on the land. One night we went to dinner at his lovely home and made a deal. Again , Bob was more than fair on the price and even worked out the down deposit since we had already established good “credit” with him and the 40 acres. We were so happy and sad at the same time. We just got the land we wanted so badly , but the reason we were able to achieve this goal was at the cost of someone’s life. Fast forward to, after a beautiful ceremony Bob and his late friends family had for him in the woods where he passed. We are greatful and thankful for the opportunities that lay and wait for us. 110 acres , 110 acres is now ours! We have two access points to this slice of Heaven. Equipped with a Beaver pond that feeds and provides water to many animals including; Moose, Black Bear, WhiteTail Deer, Ducks, Frogs, Fish, and lots of small critters. It has over thirty-five hundred feet of state land frontage, with lots of springs and creeks. Life is sweet, life is grand, we love each other and our life. Bob for making our dream come true. We hold his friends passing in our hearts and think of him every time we pass his area. We are grateful and thankful for the blessings we get and appreciate our marriage and bond that Jill and myself have. Thank you Jill for being the best wife, best friend and partner in the world! Previous postWhy Are There Different Color Fruits & Vegetables?